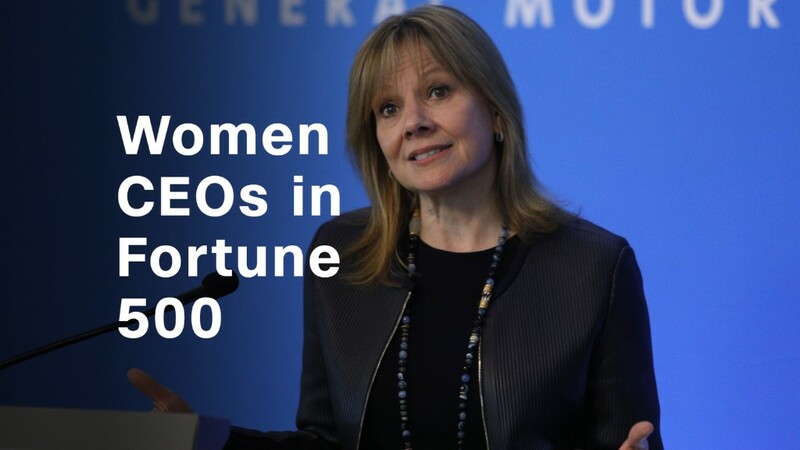 With Indra Nooyi stepping down at PepsiCo, the number of women CEOs leading Fortune 500 companies got even smaller. But Nooyi's exit signifies another important development: one fewer woman of color in the C-suite. Because there are already so few women at the top, the exit of every female CEO hurts the women working below. Fewer women in power means there are fewer role models for women climbing the ranks, and more pressure on the female CEOs already in the spotlight. Even as female CEOs still fight to make the C-suite, the ranks are shrinking. Between 2017 and 2018, the number of women leading Fortune 500 companies dropped by more than 20%. But while white women may come up against the proverbial "glass ceiling," women of color hit a "concrete ceiling," says Ilene Lang, interim president and CEO of Catalyst, a nonprofit studying women and work. "The term 'glass ceiling' originated because you could look through it and see what was possible, but you hit against a barrier as you pushed up, so the aspiration was there and the expectation was there," she explains. "But think about a concrete ceiling — if you're in a bunker, you don't even know there's a sky out there. That's meant to be a very visceral metaphor." Nooyi wasn't the only woman of color on the Fortune 500. Geisha Williams, CEO of PG&E Corporation, and Joey Wat, of Yum China Holdings, both lead companies on the legendary list. Lang says progress has stalled for women of color in the workplace, particularly in promoting them from mid-level jobs to coveted corner offices. "When you get to the more senior levels, that's where we still have the ceilings, whether they're glass ceilings or concrete ceilings," she says. "Thick layers of men, that's the problem." Part of this stalling, Lang says, comes from risk-averse boards of directors. Some may only appoint a woman or a minority leader in times of intense crisis for the company. But women at lower levels of the organization also need mentors (and, crucially, sponsors) to advocate for them in promotions and negotiations — and those supporters can be hard to find. Research also shows white male managers may withhold help from other employees after a minority or female CEO takes control of the company. Part of this may be because that ascension triggers a set of unconscious biases, says Jim Westphal, professor of business administration at the University of Michigan. This means that for every step a company takes in a positive, diverse direction, other minority employees may receive less of the career mentoring or task-related advice they need to ascend the corporate ranks. Luckily, Westphal says, employees can push back on this, by forming their own networks. "There is an opportunity for minority leaders to compensate for their disadvantages by providing each other with help in a more strategic, organized way," he says. "Build up groups, formal groups or smaller social networks of others who are facing similar challenges, and exchange information in a strategic way to compensate for the lack of advice from majority white male colleagues." We should also keep our expectations on the right people, says Lang. We shouldn't only expect women of color to promote women of color; we have to expect the same of male leaders, too. "Why should three women who've been CEOs of Fortune 500 companies [be] the ones to promote women after them? What are those 475 men doing about succession in their companies?" she says. "Looking to women to fix this problem is not looking far enough. Women can't fix this problem if men don't get with the program, if they can't see women as capable, outstanding, excellent successors."